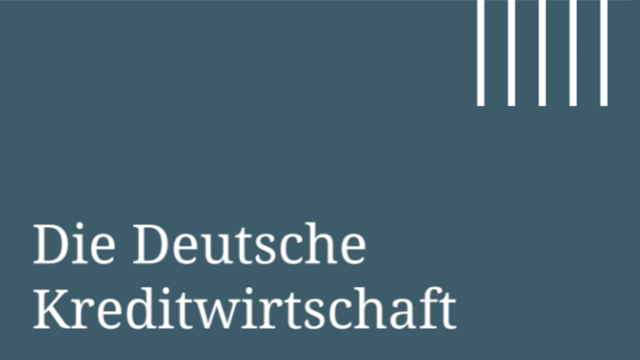 Stellungnahme DK zum Diskussionspapier der BaFin "A regulatory algorithm for determining capital requirements as a stressed value-at-risk"
The proposed new standardised approach for banks which do not have an approved internal model for market risk is considerably more complex than the existing regime. Rigorous implementation would require the establishment and operation of an infrastructure comparable to an internal model with respect to methods, processes, availability of data and validation. The proposed approach represents a completely new "standardised" model for prudential purposes. The clear benefits of the existing standardised approach in terms of design and operational simplicity are completely absent. Owing to its similarities to an internal model, the proposal admittedly addresses some of the current weaknesses of the standardised approach. By the same token, however, it also throws up serious new problems. Since many details of the proposed approach would have to be decided by the individual bank, consistent implementation across the industry is unlikely. One of the proposal's declared objectives - namely to standardise the method of measuring market risk - would therefore not be achieved. The requirements to be met by the model are, moreover, so complex that it is doubtful whether it would be possible to apply the new approach without prior supervisory approval. This would make it necessary to introduce a supervisory approval process as part of the standardised approach.